Principals | Levitan & Associates, Inc.
Richard leads the firm’s advisory services in the areas of power plant valuation, wholesale power procurement, pipeline / storage adequacy assessment, rate design, and asset acquisitions. Mr. Levitan has 34 years of industry experience in pipeline transportation management, finance, regulation, and wholesale market analysis. He advises regulatory commissions, investors, and utilities on diverse commercial matters pertaining to resource planning, wholesale procurement, capacity market mechanisms, and gas / electric interdependencies. He performs due diligence on quick-start peakers and combined cycle plant resources, renewable energy technologies, and HVDC transmission projects. Mr. Levitan has managed gas pipeline adequacy and storage deliverability studies for independent system operators as well as gas and electric utilities throughout the U.S. He has advised diverse stakeholders on Open Access Transmission Tariffs, and has testified many times at FERC and before state and provincial regulatory commissions. 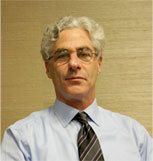 Prior to founding LAI in 1989, Mr. Levitan was a consultant at Stone & Webster Management Consultants, Inc. In the late 1970s he was an Economist at Pacific Gas & Electric. He received his B.A. from Cornell University and his Masters degree from Harvard University where he specialized in Energy Economics. He also attended Stanford University’s Post-graduate Industrial Organization Management Program. John has 40 years of experience in the energy industry encompassing a wide range of fuel, power, and emissions control issues. Mr. Bitler advises utilities, generators, state regulatory agencies, and end-users on diverse matters pertaining to fuel markets, competitive power procurement administration, and emissions control technology. He is responsible for LAI’s fuel market analysis activities and has directed wholesale power solicitations on behalf of the Illinois Power Agency to serve eligible retail customers of the Ameren Illinois Company. Mr. Bitler has submitted expert testimony before FERC and state regulatory agencies throughout the U.S. on behalf of utilities, industrial end-users and state entities. Prior to joining LAI in 1992, Mr. Bitler was President of Environmental Catalyst Consultants, Inc., where he was responsible for engagements assessing the feasibility of catalytic emissions control processes. He previously was an Executive Consultant at Stone & Webster Management Consultants. His industry experience includes commercial development and planning positions at InterNorth, Inc. and engineering positions at U.S. Steel Corporation. Mr. Bitler holds a B.S. degree in Mineral Economics from The Pennsylvania State University and an M.S. degree from The University of Pittsburgh in Mining Engineering. Seth is an economics and financial manager with 34 years of experience in wholesale market design, price forecasting, power and transmission project economics, credit and collateral issues, and the development, valuation, and financing of both conventional and renewable resources. Mr. Parker has assisted the NYISO with updating the Spot Capacity Market demand curve parameters and generation companies on capacity market design in multiple markets. Mr. Parker has testified before state regulatory commissions, in state and federal courts, and before FERC on diverse matters pertaining to offshore wind and renewable resources, integrated resource planning, wholesale procurement practices, power plant economics, financial issues, and competitive market design. Prior to joining LAI in 1998, Mr. Parker was a Vice President of Stone & Webster Management Consultants where he conducted due diligence in support of over $6 billion of domestic and overseas power project debt. He held positions at J. Makowski Associates, ThermoElectron Energy Systems, and in the Treasurer’s Office at Pacific Gas & Electric. Mr. Parker received a Sc.B. from Brown University in Applied Mathematics / Economics and an M.B.A. from the Wharton School in Operations Research / Finance. He has completed additional coursework in geopolitics at the Kennedy School, Harvard University. 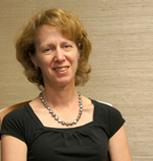 Ellen has 27 years of consulting experience in the energy and environmental industries. She has advised clients on competitive procurement options for wholesale power and fuel supply, including HVDC transmission projects, natural gas-fired plants, and renewable generation projects. Dr. Cool has extensive expertise in environmental compliance strategies and regulation, siting and permitting, renewable technologies, combined heat and power systems, contract restructuring, and integrated resource planning. She has managed competitive procurements for wholesale power supplies and for new generation resources on behalf of electric utilities and state regulatory agencies. She testifies regularly before PURA in Connecticut and has also testified before the New Jersey BPU and the Massachusetts EFSB. Prior to joining LAI in 1999, Dr. Cool was a Principal with Harding Lawson Associates, Inc. (formerly ABB Environmental Services, Inc.), where she managed the New England region for the engineering and environmental consulting firm. She previously was a project manager at TRC Corporation and Woodward Clyde Consultants, and also worked in mining and minerals exploration. Dr. Cool received an A.B. in Geological Sciences from Harvard University, and an M.S. and Ph.D. in Geological Sciences from the University of Washington. Richard has 34 years of experience as a consultant, software product manager, model developer, and research economist. 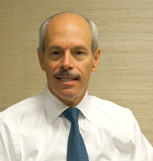 He advises utilities, generators, investors, and regulatory agencies on a wide range of issues, including integrated resource planning, generation asset valuation, environmental compliance, power and fuel supply competitive procurement, portfolio risk management and policy, commodity price forecasting, market design and behavior, merger impacts, employment impacts, and rates setting. 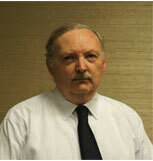 Dr. Carlson is experienced in econometric, simulation, and optimization modeling. He led development of commercial software applications used for integrated resource planning, portfolio risk management, and employment impacts analysis. Dr. Carlson has performed independent market analyses in support of financing of thermal and wind generation resources, independent evaluations of utility procurements of power and gas contracts, and electric and gas infrastructure expansion applications. Dr. Carlson has testified in electric and gas company cases in Maryland,Maine, New Hampshire, and Ontario, and has submitted expert testimony to FERC. 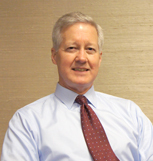 Prior to joining LAI in 2008, Dr. Carlson was a Vice President at Ventyx, where he was a software product manager of power company planning and risk applications, and previously was a senior project manager in the consulting division. He previously was an economics consultant at two Boston-based companies, an assistant professor at Queens College in New York, and a research associate at Washington University. Dr. Carlson received a B.S. with distinction from Washington State University, and an M.A. and Ph.D. in Resource Economics from the University of Wisconsin.